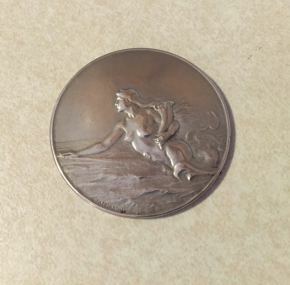 Highly sought-after sterling silver medal for the beautiful France of 1912. CGT only produced one four stacker, but she was an amazing one! 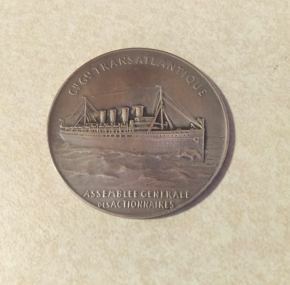 The artist who designed the medal, Louis Patriarche, was a famous French sculptor. 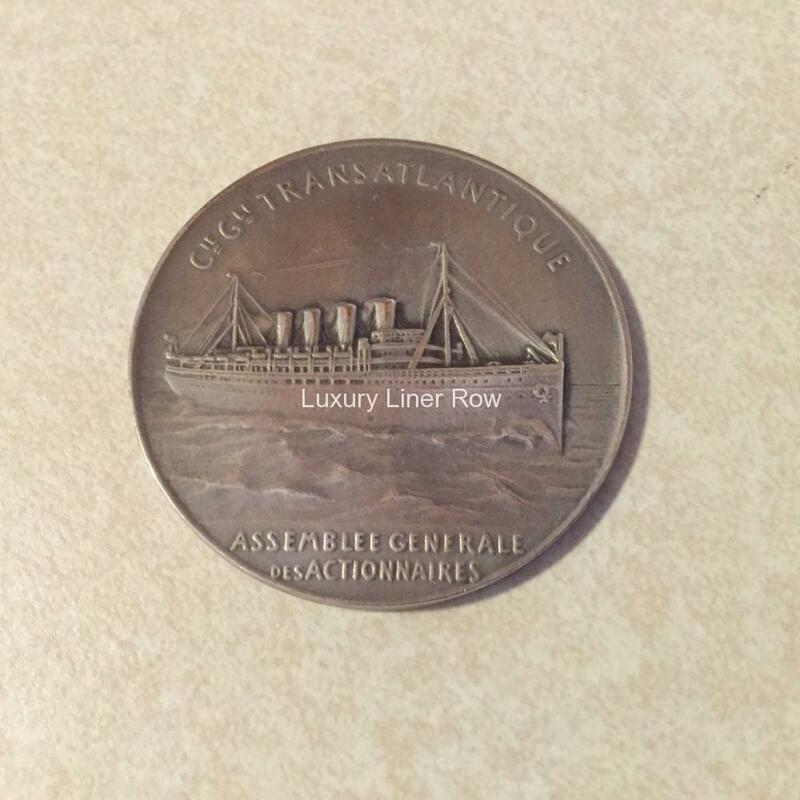 I have had these in stock from time to time, but since the ship was built over 100 years ago, they are not common. The medal is in excellent condition and sports about an ounce of silver and measures about 1½” in diameter.